Bradley Hall in Matlock, Derbyshire sleeps 8 people. Situated in the pretty and popular village of Birchover, this listed, detached, Georgian house boasts super views over the local countryside and provides the perfect base to relax and enjoy this beautiful corner of England. Bradley Hall has retained many of its original features including flagstone and wooden floors, mullion windows and shutters. A south-facing garden completes this lovely property, and also makes the ideal place for relaxing with a glass of wine or al-fresco dining in the warm, balmy summer evenings. There is also a decked area complete with 8-seater hot tub and fire pit. The village is ringed by rocks and Tors and is set in one the of the most stunning parts of the Peak District. Excellent walking can be found from the doorstep and for nature lovers, excellent birdwatching can be found in the surrounding areas. For days out, the magnificent stately homes, including the beautiful Chatsworth House (8 miles) and Haddon Hall (4 miles) are an absolute must see, whilst a little further afield, but well worth a visit are the National Trust properties of Hardwick Hall, Sudbury Hall and Stainsby Mill. Ilam Park - running alongside the River Manifold with spectacular views towards Dovedale, and High Peak Estate - a vast area of outstanding walking country also come under National Trust ownership and provide wonderful walking opportunities. For water sport enthusiasts, Carsington Water is within easy reach, with sailing, wind-surfing and canoeing all available. Spacious living room with large fireplace and original flagstone floor. Large dining-room with fireplace, piano and shutters on windows. Well-equipped kitchen with gas range, mullion windows and slate floor. First floor: Two double bedrooms, each with wooden floor; one with 7ft bed and ornamental Georgian fireplace. Bathroom/W.C. with Victorian-style roll-top bath, large shower cubicle and bidet. Second floor: Two double bedrooms. Shower room/W.C. For a better idea of where Bradley Hall is, you can see Bradley Hall on the map below. 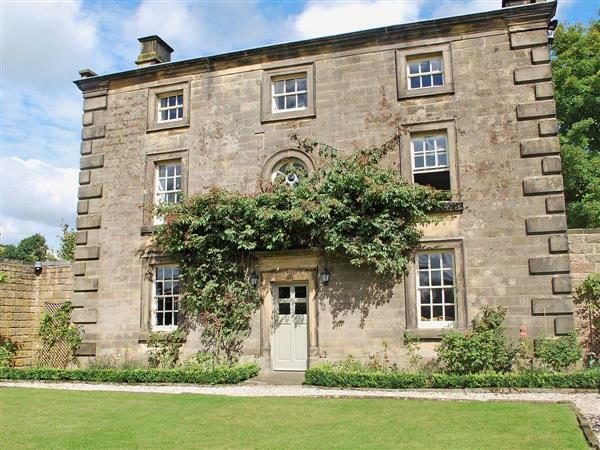 Bradley Hall is in Derbyshire; should you be on the lookout for a special offer, you can find all the special offers in Derbyshire. It's always worth checking to see what is on offer at the moment. Do you want to holiday near Bradley Hall (RCC4), you can see other cottages within 25 miles of Bradley Hall; have a look to find your perfect holiday location.